Yesterday, the Senate approved a three month extension of the Highway Trust Fund. The bill, called the Surface Transportation and Veterans Health Care Choice Improvement Act, would fund the Highway Trust Fund until October 29th by moving $8 billion dollars from the general fund. It would pay for the shift with several administrative and compliance changes to existing taxes (overview here). Lawmakers hope that this temporary patch will give them time to devise a permanent solution to the Highway Trust Fund’s funding issues. Since 2008, the Highway Trust Fund has spent more money than it has received, further depleting its reserves each year. Absent several transfers from the general fund, the Highway Trust Fund would have run out of money and would not have been able to cover its obligations. The trust fund’s funding issues are mainly due to the erosion of the value of the gas tax. The last time the federal gas tax was increased was in 1994 when it went from about 14 cents a gallon to 18.4 cents a gallon. Over the last two decades, inflation has eaten away at its purchasing power. 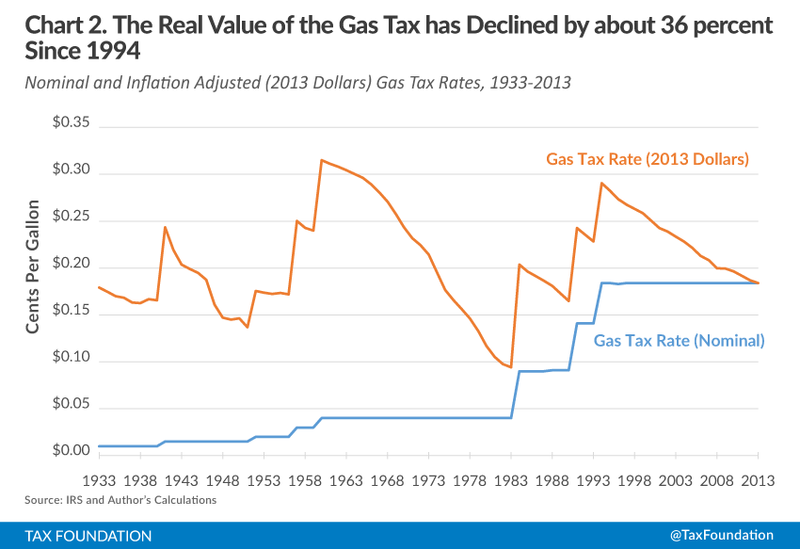 Today, the gas tax’s value is 36 percent lower than it was in 1994. The most straightforward way to shore up the Highway Trust Fund on a long-term basis is to increase the gas tax and adjust it for inflation going forward. The gas tax conforms to the user-pays principle on which the trust fund is based. Those who drive on the roads and cause damage and congestion are those that pay the tax. This is much fairer than paying for roads out of general funds or through a retroactive tax on the offshore earnings and assets of U.S. multinational corporations. If lawmakers are concerned with the political implications of a straight gas tax increase, they can cut taxes elsewhere at the same time. 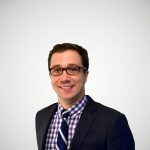 Not only would this fix the long-term funding issues with the Highway Trust Fund, a swap like this could improve the U.S. tax code overall given that the gas tax is a less economically distortive tax compared to others, such as the estate or the income tax.